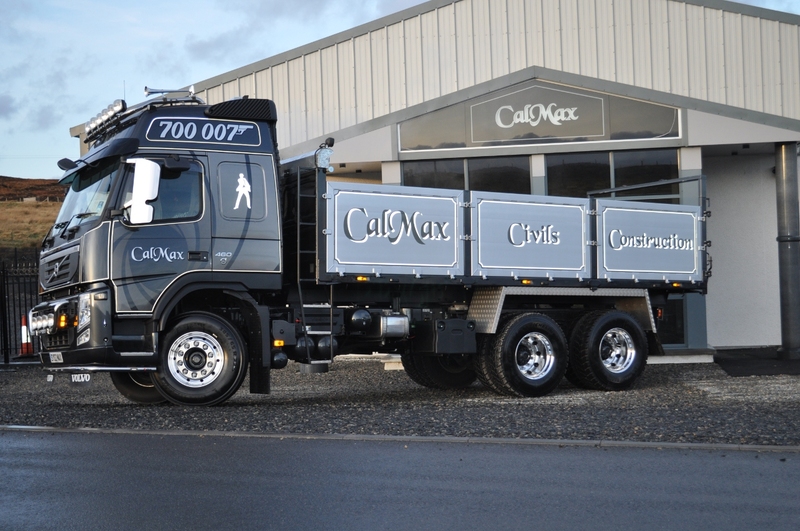 Calmax Construction Ltd founded the company on 8th September 1999 and since then has expanded to incorporate Blackwater Surveying Services Ltd and Calmax Civils Ltd. The principal aim of CalMax Construction Ltd. is to provide a high quality construction service to Western Isles customers both in Local Authority and Private Sectors covering Private and Commercial contracts, House-building, Maintenance Contracts and Civil Engineering projects. Each member of the current workforce has been selectively employed to ensure that a high standard of workmanship is maintained and, since company formation, the workforce has grown from 3 staff and 5 operatives to present levels of 6 staff and 55 operatives. Details of our staff are provided on the Contact page. The company is based at 1, Blackwater, Newmarket, Isle of Lewis, HS2 0EE where the Registered Office, Main Workshops and Storage Yard is based. Since formation, the company has successfully completed projects for Comhairle nan Eilean Siar ( Local Authority ), Scottish Water, Highlands and Islands Enterprise, Highlands and Islands Airports Limited, Ministry of Defence / Serco Defence Support, Muirneag Housing Association, North Harris Housing Association, Church of Jesus Christ of Latter Day Saints and Scotia Pharmaceuticals Ltd. and are currently maintenance contractors for SGN, SSE, British Telecom, Scottish Water and Scottish Sheriff Courts. On all construction projects to date, the company has operated in a Main Contractor capacity and have the following trades in house :- Siteworks, Concreting, Reinforcing, Drainage and External Services, Pipelaying, Bricklaying, Carpenter and Joinery, Suspended Ceilings, Roofing, Plastering, Taping, Wall and Floor Tiling, Roughcasting, Painting and Epoxy Floor Finishing. We also provide the following trades under sub contract :- Plumbing, Heating, Mechanical Services, Electrical, Floor Coverings and Road Surfacing. The company is NHBC and Constructionline registered, members of Scottish Building Federation and the Western Isles Construction Training Group and affiliated to the Construction Industry Training Board. In addition, the company has IIP accreditation and operates an ongoing training programme for operatives to assist both in terms of Health and Safety and also to maintain quality standards. As the company has progressed, the Directors have invested substantially in Plant and Equipment to ensure both efficiency and safe working practices. Calmax Construction Limited was established on 8th September 1999 and grew from 3 staff and 5 operatives to the present level of 6 staff and 55 operatives. We have recently moved to offices at 1 Blackwater, Newvalley where we have consolidated our operations. We are an all trades company, a civil engineering contractor and also have a plant hire business.